Congrats to Guru turning pro for habitat! check out his footage on habitatskateboards.com and peep his interview in the April edition of skateboarder mag! We just received the latest Pro Leather Low from Converse Skateboarding. 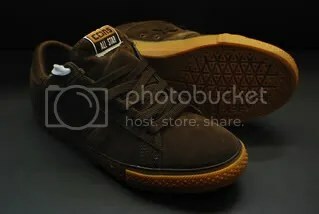 The shoes features a soft chocolate suede upper and a gum rubber sole. 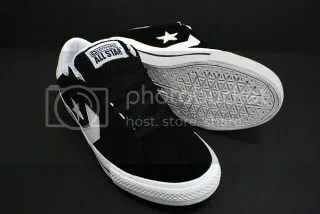 We have just received the first installment from the new Converse Skateboarding brand. The Black Pro Skate Ox has a buttery suede upper on a vulcanized sole. Their super comfy interior is lined with memory foam. Look for more great things to come soon from this new brand.